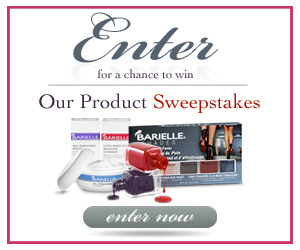 Makeup, Beauty and More: Barielle Facebook Sweepstakes Alert! Barielle is hosting a Facebook Sweepstakes starting at 3pm today. Ten random winners will be selected for a prize package worth over $100.00. To enter, go to Barielle's Facebook Page and click on the sweepstakes tab here.